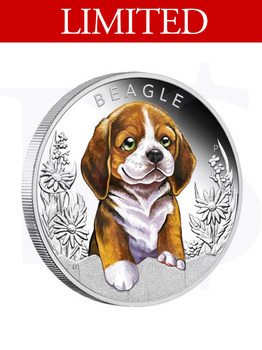 The Perth Mint is excited to release the first coin in the adorable new Puppies series, featuring a beagle. Adored for their soulful and kind expressions, beagle puppies are active, full of fun and renowned for following their nose wherever a familiar or enticing scent leads them. 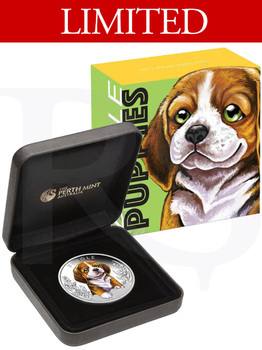 This silver proof coin depicting an adorable beagle puppy will be a treasured collectable for any dog lover. Beagles’ affable natures have made them one of the most popular pet breeds and this beautifully coloured coin depicts a playful youngster peeking inquiringly over a fence, with a detailed garden in the background. The Perth Mint will release no more than 5,000 of the Puppies – Beagle 2018 1/2oz Silver Proof Coin. 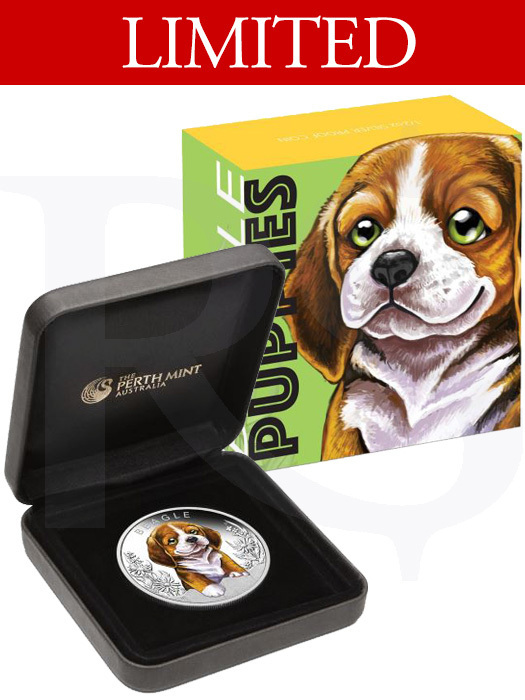 Displayed in a classic presentation case, each coin is delivered in a shipper with a delightful illustration of a beagle puppy and a numbered Certificate of Authenticity.